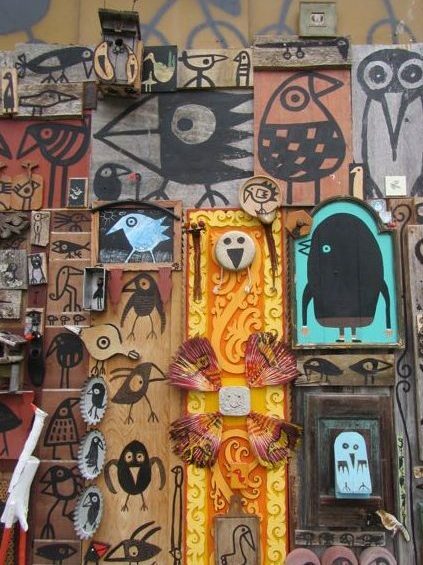 One of the art installations on a small building exterior at the Guggings Museum in Austria outside of Vienna. 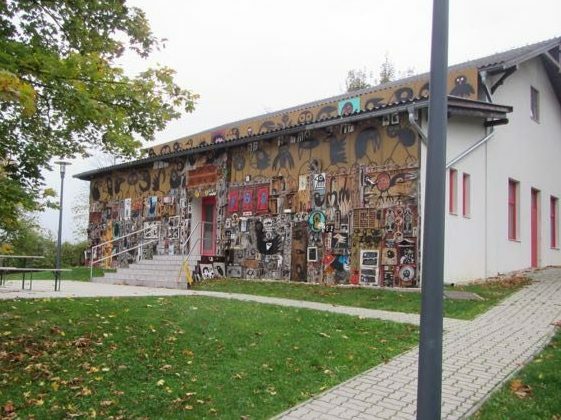 The Museum was created as a result of the art therapy program developed over many years at the Guggings Psychiatric Hospital that houses convicted criminals with psychiatric disorders. 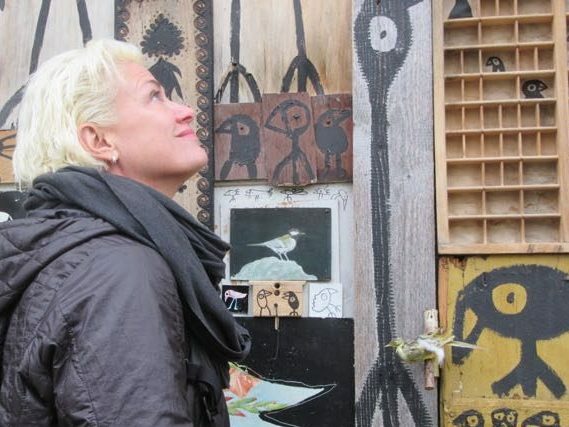 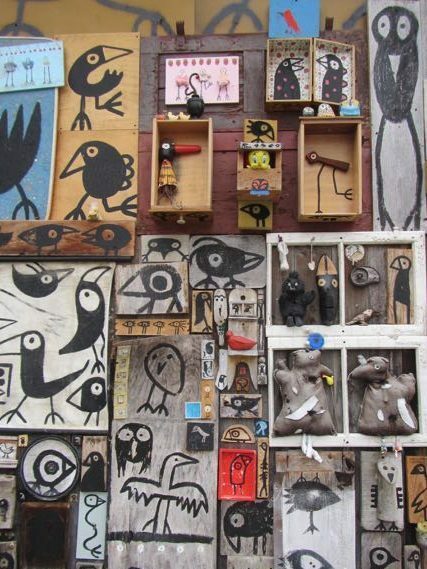 Very interesting work, this one with recycled materials and an obsession with birds!